Lionel Messi revealed his brand new logo as a sub-brand of Adidas in a video compilation he posted on his Facebook: “To all my Facebook friends, I share with you my personal logo that represents who I am as a player and person. Hope you like it!” With a small production team we realized teasers and the final revealing of the logo. 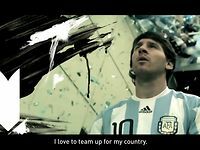 We also photographed Messi in Barcelona for this online campaign. 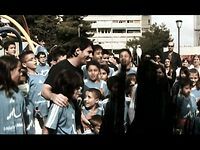 Nice memorable detail: I recorded Messi's voice over for the videos myself, using a portable recorder in Barcelona!